Vailesogi Vaivai is a cancer patient diagnosed with endometrial cancer. She is currently seeking medical treatment in Apia. 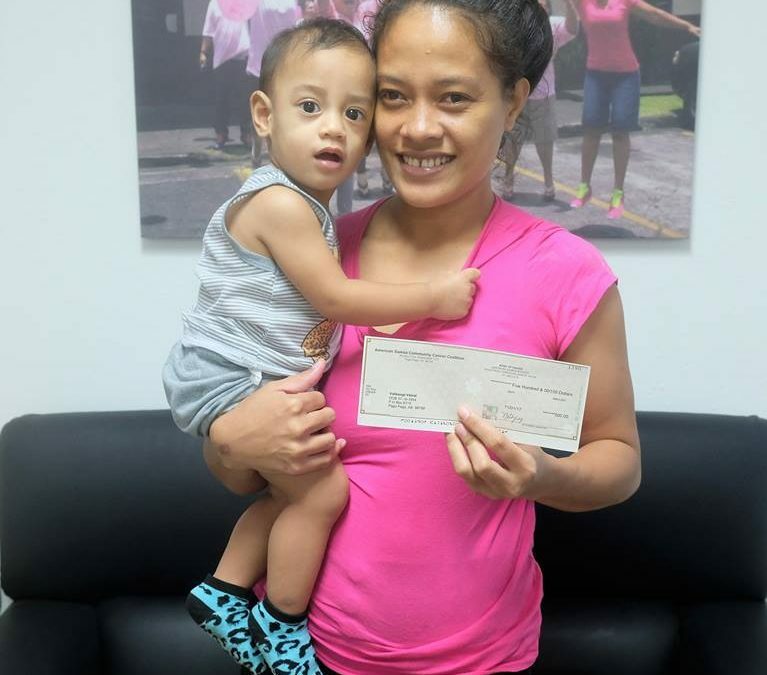 Her daughter Fau and grandchild receives her $500 stipend check. Often times cancer patients are unable to personally pick up their stipends so they call in advance informing ASCCC of a family member who will be in on their behalf. All checks are written out to the cancer patient. Mrs. Vaivai is the 9th cancer patient to receive a stipend check since ASCCC’s Oct 28, 2017, golf tournament fundraiser.